Topshop seem to be really pushing this trend, I love the cute playsuits with the pleats in the shorts, especially in the wine red colour above! 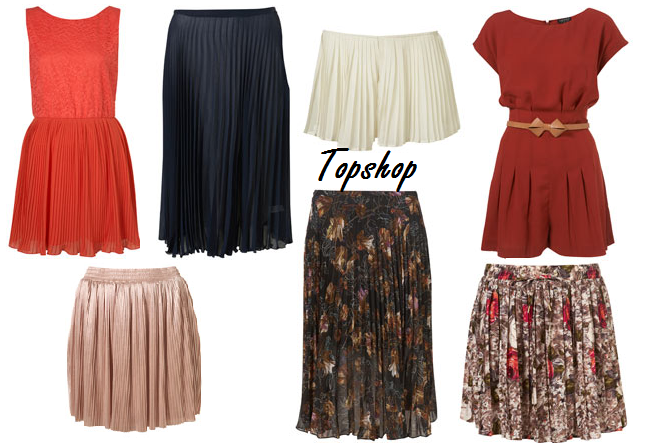 Do you guys like all the pleat obssession at the moment in fashion or is it too schoolgirl-y for you? Ah you featured one of my recent favourite bloggers- Mayo Wu! She always looks so beautiful. I absolutely love pleated skirts and it is definitely one of my favourite trends at the moment. I have wanted a dark red or pink pleated skirt for ages. 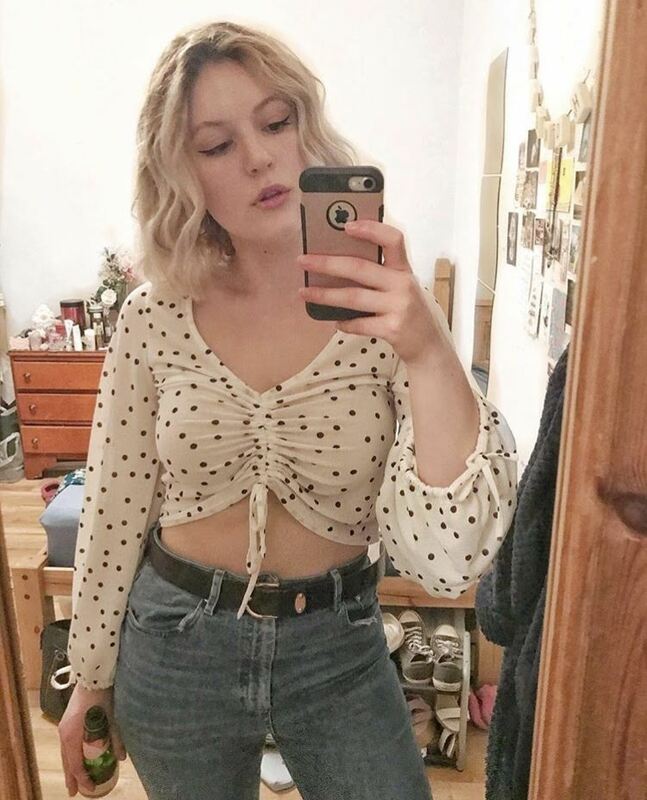 I found one on ASOS recently but a bit too expensive so I'll keep looking.